There are a lot of options today for restorative dentistry. If you’re missing one or more teeth and you’re embarrassed about your smile, or you find it difficult to chew, or people can’t understand you when you speak, you may want to consult with Dr. Eastburn about your options for tooth replacement or dental implants. After a thorough dental exam complete with dental x-rays, the dentist will lay out the best options for you, and help you weigh the pros and cons of each type of tooth replacement. Some involve removable dental appliances while others are permanent. Costs vary depending on which option you choose, and you will be provided with detailed pricing. Dr. Eastburn’s goal is to do the best he can for you, to help relieve any pain you might be having, help you speak and eat normally, and also to improve your appearance. As a permanent solution to missing teeth, consider dental crowns and dental implants. Dental implants are posts that are surgically implanted into your jawbone, and the bone grows around the implant post, holding it in place. For a single missing tooth, a custom dental crown is crafted to match your existing teeth, and to fit onto the dental implant. 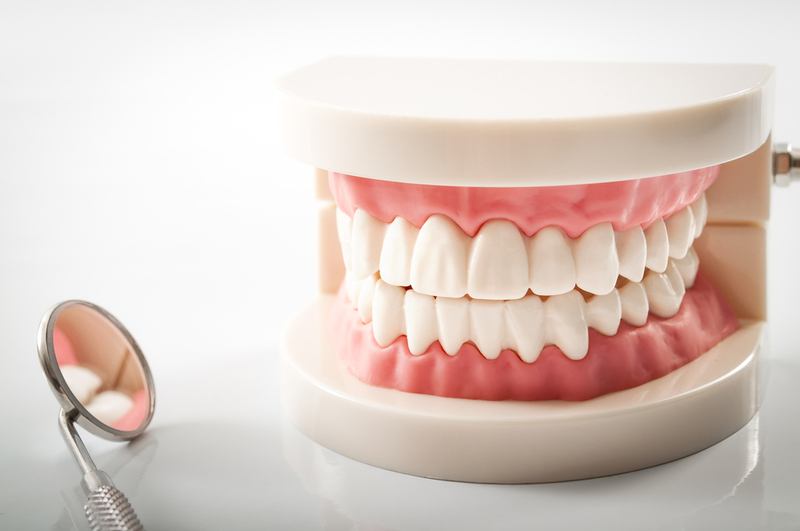 For multiple teeth or all of your teeth, custom dentures are made to fit. Dental implants are one of the biggest advances in dentistry in the last 40 years They have become a very popular choice for restoring a patient’s oral health and smile. Implants cost more than removable dentures, but for many people, the permanent fix is worth it. You care for dental implants just like you would your original teeth – no removing them and putting them in a glass with special cleansers. Conventional full dentures that replace all of your teeth, and removable partial dentures that replace just a few teeth are another good option for tooth replacement. Toda’s dentures are much more comfortable and natural looking than the dentures your grandparents may have worn. New technology allows your dentist to provide you with a superior fit, with dentures that solve your issues and improve your smile. You’ll get instructions for proper care of your mouth and your dentures, to ensure good oral health, and to get the best performance out of your dentures. A dental flipper, or flipper teeth, offer a temporary solution to missing teeth. You might use a dental flipper while you are waiting on your dentures or dental implants. Some adults may use a dental flipper as a long term solution to missing teeth, but that’s really not advisable, as long-term use can press on the gums and be uncomfortable, and are not very healthy for the gums. They also break easily. Flipper teeth may attach to your other teeth sort of like a retainer, so there may be visible metal. You need to be sure to remove the dental flipper and clean it properly each night. If a dental flipper is not properly cleaned, it can contribute to gum disease and tooth decay. All of that being said, flipper teeth are a low cost option for tooth replacement. Endodontics is the area of dentistry that focuses on the pulp, nerves and root of the tooth. These are all encased inside the hard outer surface of your teeth. We don’t really think about the pulp and roots of our teeth until there is a problem. With tooth decay or a cracked tooth, bacteria can reach the pulp and roots of your teeth. That is when one or more root canals may be necessary. Root canals remove the pulp and nerve of a tooth and fill the cavity left behind. Thus removing all bacteria and sealing the tooth to prevent further damage. Frequently, a crown is placed on the tooth after a root canal, to protect the tooth from further damage. For patients who are getting braces and need more room for their other teeth to align properly. For patients who are getting dentures or dental implants. Removal of damaged or decayed teeth makes room for the replacement teeth. Wisdom teeth extraction. Very few people have room in their mouths for their wisdom teeth to come in without causing a problem. Dental x-rays in the late teenage years can give you an idea of if you need to have your wisdom teeth pulled. Impacted wisdom teeth can cause great pain and damage to the other teeth, so wisdom teeth extraction is advised. Impacted wisdom teeth are when the wisdom teeth are coming in underneath the second molars, or coming in at an angle such that they would push directly into the second molars. Emergency tooth extraction. Sometimes a tooth becomes so infected and so painful that a tooth extraction is the best course. Pulling an infected tooth may be more affordable than a root canal to try and save the tooth. Each situation is different, and you’ll want to talk to the dentist before making a decision. We realize that dental pain and dental injury can happen at the worst times – in the evening or on the weekends. Call Eastburn Dental and we can make you an appointment for urgent dental care to help relieve your pain and get things back to normal. Call the Eastburn Dental office at 251-344-2126 to schedule a consultation for tooth replacement or for tooth extraction. Emergency appointments are available for urgent dental care.